I have been building my social media since Summer of 2016. When I started, I had about 50 – 75 followers on Instagram, Twitter, and none on Facebook. Now my fan page on Facebook is 106, I have 159 followers on Twitter, and 370 Instagram. Now, you might want to ask, why so low? Why so few number of people following after continuous posting for the past year? Well, social media building takes time, and what I mean by time, I mean years. You can be building for five to seven years to generate a following for yourself. 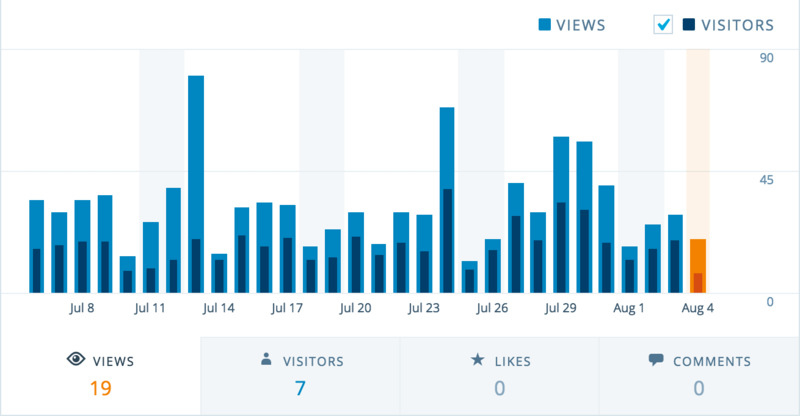 Even with my blog, I have started in 2015, I am just now making some decent traction. Well, how are ways to build some type of audience. And what do I mean by audience, I mean pulling together a group of followers where they not only follow, but you influence their buying decisions. That is a very valuable social media following, when you can influence people’s buying decisions. For example, people with 1 million followers on Twitter or Instagram can be paid for postings. Even at ten percent of the audience spending at least $100 per year, that’s $10 million dollars. Imagine being able to make brands $10 million because you can influence a buying decision. Now imagine people with 10 million followers, or even the major celebrities with 50 – 100 million followers. But as for me, with such a small community, I am always seeking ways to grow myself. My blog is probably getting the most traction at the moment. Last month I hit 1,000 views in a month. A feat that has taken me three years. And I am only making more head way now because I post at least one to three times per day. Now I would like to ask a question of you all. If any of you have built a pretty successful platform, how long did it take you? What was that or those things that kind of put you over the top? Because we all have something that does it for us. For me, that time has not come for me to be over the top. Currently I am working on my Indiegogo campaign for my next short film, “Freedomless Speech.” And after I am finished with this, hopefully I can build my social media from videography projects. So with my videography, blogging, novels, and photography, should be able to build a nice community for myself. And in the end, that is the purpose. I would really like to see myself as one of these influencers cross my social media platforms. I am currently working in the Indie film landscape. And I have given myself a time frame to work in my field. 10 years from the start of my career pursuit. So by the time I turn 33/34 years of age which is three years, I want to already be in the industry working. I guess only time will tell.